Rodrigues, Edgar. 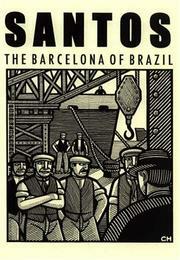 Santos - The Barcelona Of Brazil : Anarchism and Class Struggle in a Port City . Kate Sharpley Library: 2005. 16 pages. Translated by Paul Sharkey. Through the Brazilian port of Santos went huge volumes of exports: carried on the backs of a working class constantly augmented by emigrants from Portugal, Spain, Italy... Among them were Anarchists who promptly threw themselves into the bitter strikes of dockers, carters and others. Edgar Rodrigues, the chief historian of Anarchism in Brazil, recounts some of the events that made Santos notorious as an anarchist stronghold: demonstrations, raids and cavalry charges, but also self-education, workers' newspapers and revolutionary theatre. 9781873605936 $3.00/£2.00 Find at a local library. Ramos, Renato, Edgar Rodrigues and Alexandre Samis. Against all tyranny! Essays on anarchism in Brazil . KSL: Bulletin of the Kate Sharpley Library No. 69, January 2012 . KSL: Bulletin of the Kate Sharpley Library No. 58-59, June 2009 . Berkman, Alexander, Emma Goldman and Barry Pateman. What is Anarchism? .